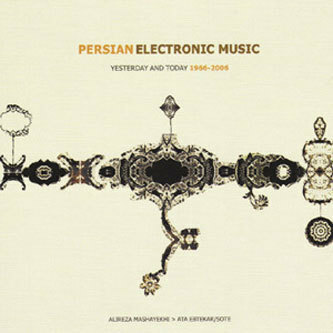 When you think about Iran certainly the first thing that springs to mind isn't experimental music. Thankfully the Sub Rosa label have looked to Iran for their latest compilation, a two cd set which compiles the work of two artists, one old and one new, to create a view into the Persian experimental electronic scene which is both diverse and deeply involving. The first artist is Alireza Mashayekhi who is known as one of the pioneers of modern music in Iran. Studying in Vienna and the Netherlands Mashayekhi took influence from both Eastern and Western musical forms and is well trained in all sorts of disciplines, however it was with electronic music that the composer really makes his mark. He believes that 'we can only discover truth through multicultural structures of artistic thought' and certainly this multiculturalism is defined in his varied musical experience as heard on this album. Most obviously it is evident on the centrepiece, the twenty-minute 'East-West' which shocks at every turn with cascading noise-patterns, synthesized textures and blasts of concrete sound. Snatches of source material discernable as Middle Eastern are encased in rumbling noise and screeching synthesis in a piece which not only perfectly sums up the work of Mashayekhi but also the compilation itself. Elsewhere the incredible 'Stratosphaere' takes the Iranian tonbak (a type of drum) as the sound source and builds over this shuddering percussion with rolling waves of static and intense noise. The futuristic quality of the recordings only really comes into focus when you realise that these pieces were created between the 1960s and 1980s, and even Mashayekhi himself has said it has taken him thirty years to get perspective on his own music, and to truly understand it. On the second disc we are transported into the present with Ata Ebtekar, the artist better known to the electronic music world as Sote. With releases on Warp records he is possibly the best known Iranian electronic musician active at the moment and continues to educate people to the cause in Tehran with his distinctly digital take on Iranian tradition. He refuses to use classical instruments in his search for the East/West crossover, preferring to confine himself to the digital realm, so we hear pieces here such as 'Cry' or 'Niaaz' which are based on Iranian folk songs, although you'd be hard-pushed to hear anything like that without reference to the liner notes. The original melodies are submerged beneath an explosion of DSP leaving only digitally manipulated hints of where the traditional sounds used to be - sounding more like the Persian equivalent of late-period Autechre than anything else I can bring to mind. What we have here is two bumper discs of intriguing electronic music, music that goes far beyond its country and culture and stands well as a companion piece to Sub Rosa's incredible 'Noise and Electronic music' compilations. Highly Recommended.